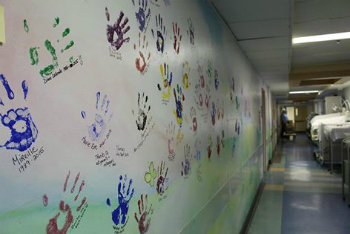 These are some the hands that make the Neonatal Intensive Care Unit (NICU) such a special place. Take a look at this beautiful work of art that our NICU team put together to say goodbye to 2300 Tupper and highlight the amazing team members that have roamed the halls of the unit for many years. How are you saying goodbye to 2300 Tupper?